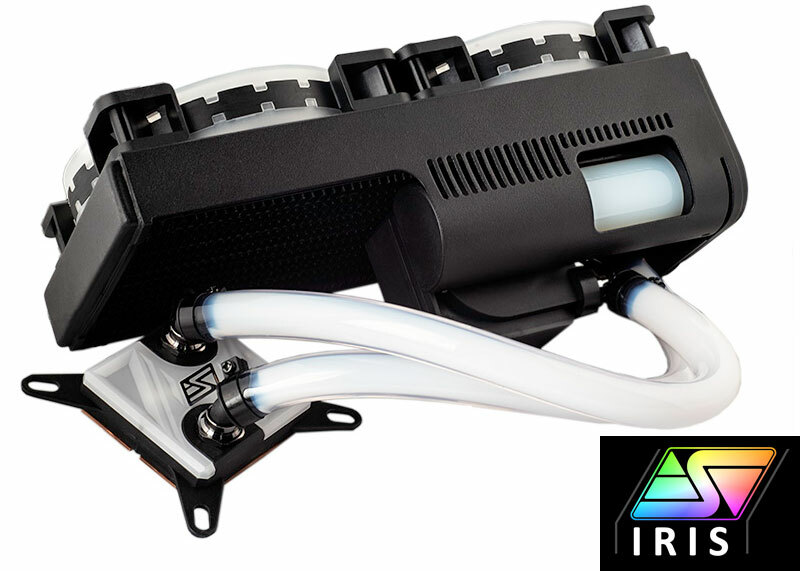 Swiftech announced the launch of Drive X3, an all-in-one maintenance-free water cooling system with very high performance at a really attractive price to quickly gain a foothold in the market. A radiator with dimension of 254 x 127 x 28 mm thickness (H240X3) or 375 x 127 x 28 mm (H360X3) made entirely of copper to improve cooling. Next to this we find a water reservoir of tempered glass with 70 ml capacity and an LED lighting system. The tubes are attached to a water pump with ceramic bearings capable of operating between 1200 and 3000 RPM generating a static pressure of up to 2.8 mmH2O able to move 11 liters of water at minute. 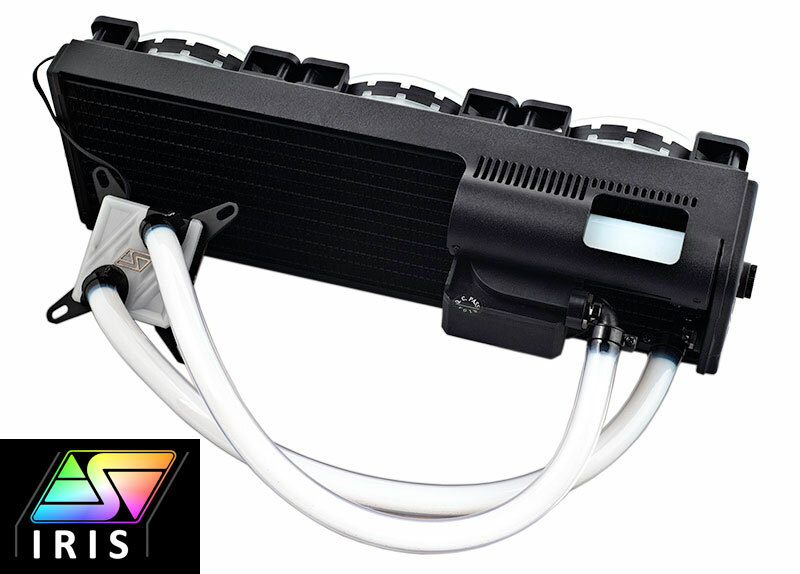 It is powered by a 4-pin connector, has a lifespan of 60,000 hours before presenting any kind of problem, and an LED lighting system. The information of the Swiftech Drive X3 completed with a copper block compatible with all current sockets: Intel LGA2011, LGA115X and AMD TR4, AM4, AM3 (+), AM2 (+) and FM2 / 1. The H240X3 and the H360X3 uses 2x / 3x Helix IRIS 120 mm fans that operate between 900 and 1800 RPM generating an air flow of 24 to 60 CFM with a static pressure of 0.61 to 2.35 mmH2O along with a loudness of 16 to 32 dBA with a useful life of 60,000 hours. The price of the Swiftech Drive X3 is 140 dollars for the 240 mm model and 165 dollars for the 360 ​​mm model.